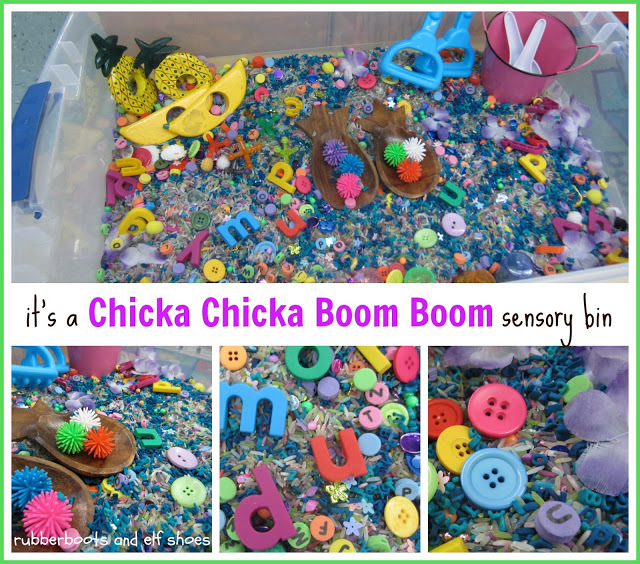 Earlier in the summer I added a sidebar link to all my sensory bin posts. 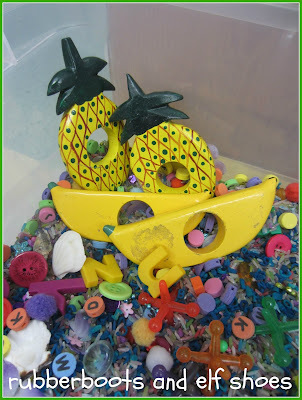 (It's right on the side - and will take you to a handy dandy photo list that will link you to all my sensory bins - or you could click [here]. 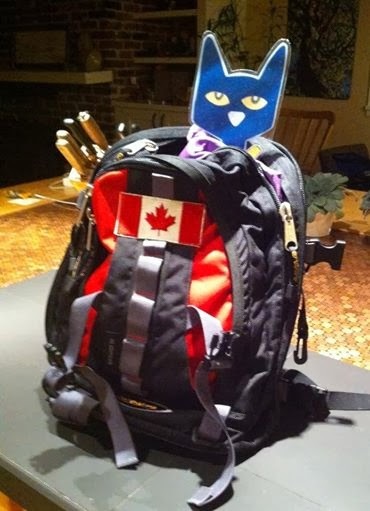 One of the families from my class last year told me (in the nicest way possible) that I had not included their favourite bin. 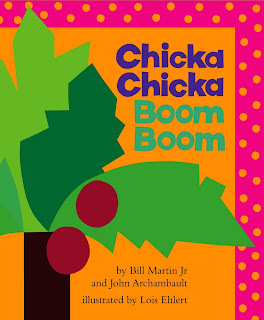 A Chicka Chicka Boom Boom (by Bill Martin Jr and John Archambault, and illustrated by Lois Ehlert) inspired bin. So, S, E, A and C (who was not even around when this bin was last out) - here it is. 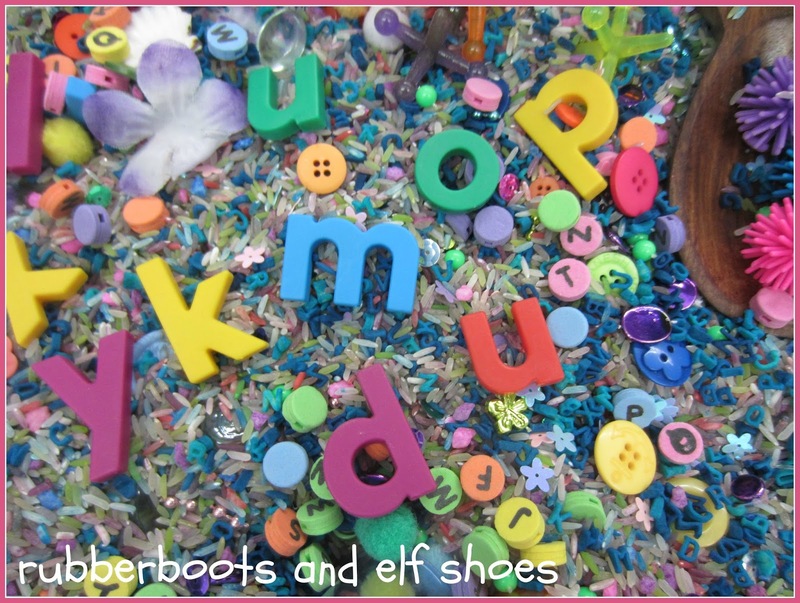 Last year's kidlets enjoyed matching letters, finding the letters of their names, finding the starting letter of their friends' names, sorting them by colour and shape, making letter towers. And having them crash down. 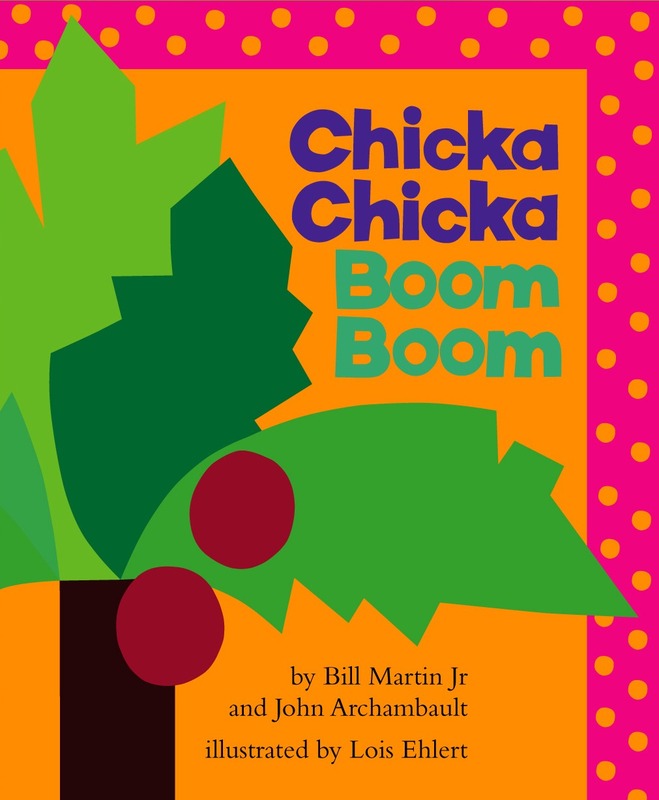 Chicka Chicka BOOM BOOM! Thanks, Julie. Hoping the kids enjoy it. 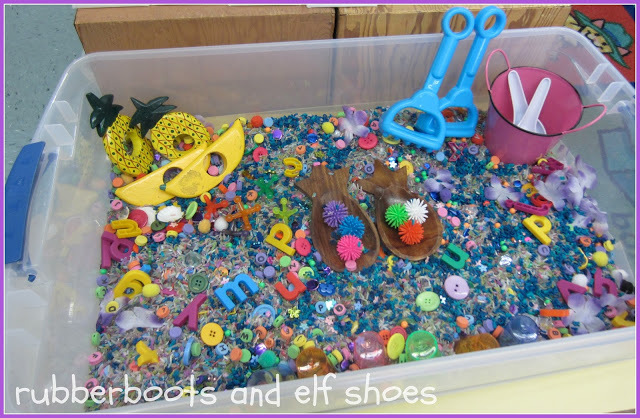 Beautiful sensory bin! So many colors and so much to explore! Thanks. I think I like playing in it as much as the kids! You will LOVE the book. It is so much fun. I love this post. 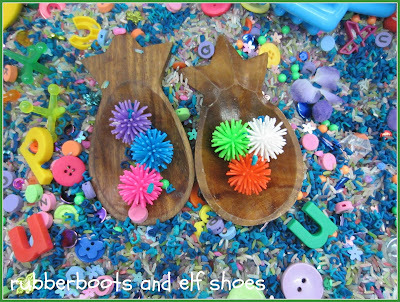 Sugar Aunts is featuring your this week on Share It Saturday. Thanks for linking up! Thanks for featuring us. 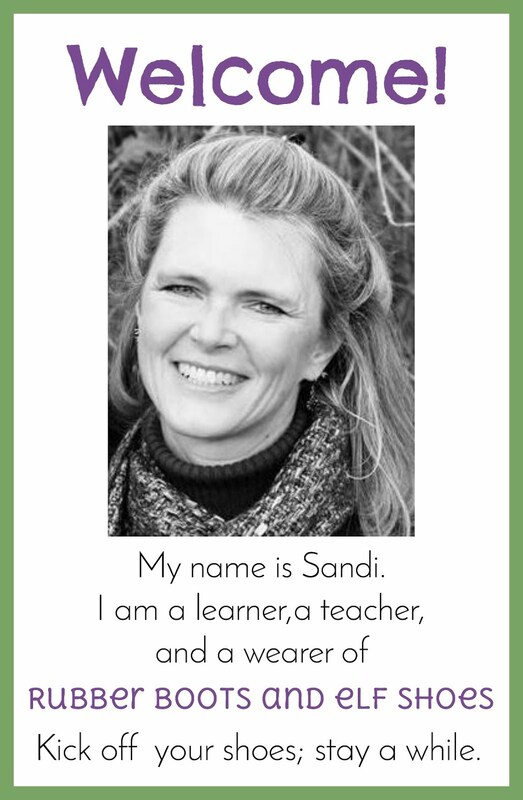 Looking forward to seeing the new great ideas posted. Love this - thank you. How much rice do you use and how much pasta? Oh my goodness, my boys are too young for this now but it is too cute! 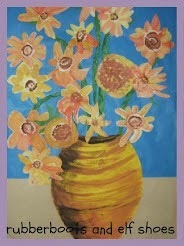 Classic book and lots of fun! 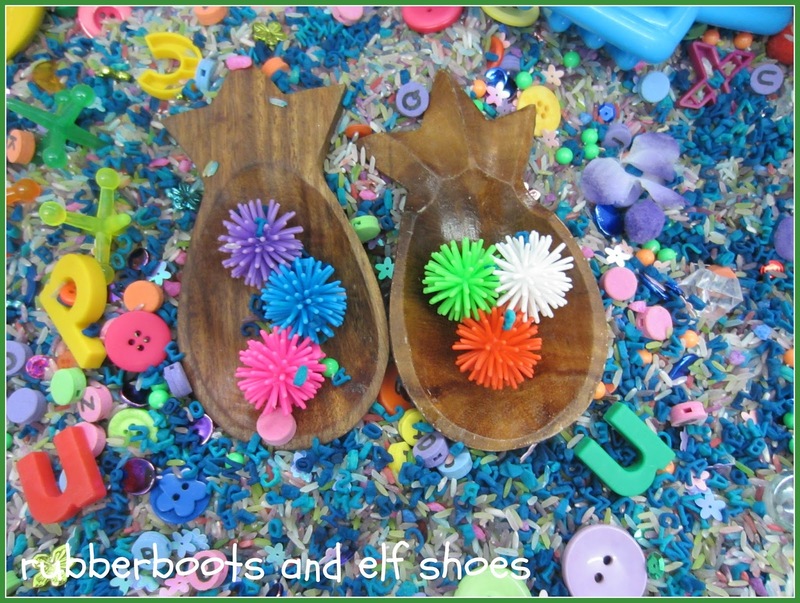 So fun and colorful! Love the thrift store finds! This looks like so much fun! I love all the colors and textures. What a great sensory bin!